My job as an Instructional Technology Specialist keeps me on my toes. In our district there are only 9 specialists to cover 32 campuses. I visit 4 elementary campuses a week. The biggest issue I have is keeping everything straight. Trying to keep track of where I need to be and what I am supposed to be doing can become a very daunting task. Organization is the key to my job, as it is with most. My iPad plays a major role in keeping me organized. Had you asked me 2 years ago if I needed another device I would have said what I had was enough. My laptop and Blackberry seemed sufficient. Now, you can have my laptop…feel free to take my Blackberry. Please, please, please leave me the iPad! Everything I need is there. It is my productivity and organizational lifeline. 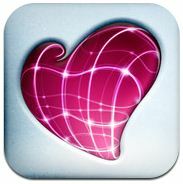 Just like my iPad, there are some apps I have grown very fond of. I depend on these apps most everyday day to keep me on top of my game. Looking for ways to improve your organization and productivity? Here my list of the top 10 apps I would have a hard time living without. Some are free, some are costly. When it comes to the end of the day though, I would gladly pay more! Google – Free I know what you’re thinking, but I am not just looking for searches! 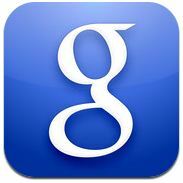 The Google app gives me access to all my documents and applications within Google. It is invaluable! 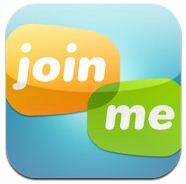 Join.Me- Free This app allows me to view other computers when they share a code with me. It proves very helpful when I am trying to solve a problem on another campus. 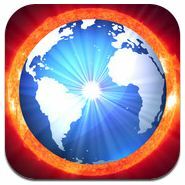 Photon- $4.99 Photon is a great browser to use with sites that require Flash. I like it over others because you can turn the Flash option on and off so your browsing speed increases when Flash isn’t being used. Falcon Download Manager- $2.99 I know, I know…I said Top 10, but this app goes with Photon very well. When you find that flash video you really need, let Falcon download it directly to your iPad so you can use it again! 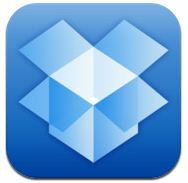 Dropbox- Free Easily share files from computer to iPad. 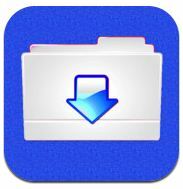 Drop the file into your public folder and share it with anyone. Skitch- Free Skitch lets you annotate over any images you have in your camera roll. Great for quick how-to’s through email. Time Saver!!! 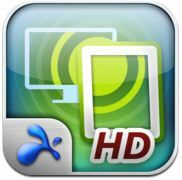 Splashtop Remote Desktop- $4.99 Access your computer from anywhere! Remote in and get your hands on that document that is saved to the desktop. Run your IWB from across the room or across the district! 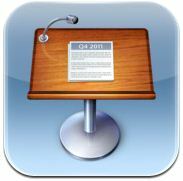 Keynote- $9.99 Create and present to colleagues. Very easy and intuitive. Connect via VGA Dongle or Apple TV to display on a projector. 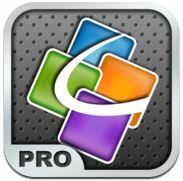 QuickOffice Pro- $14.99 Create or Edit Microsoft files from your iPad. I chose this app because my district uses Office 2010. If you are a Mac district, go the route of Pages, etc. No laptop…no problem! 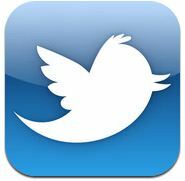 Twitter- Free…in fact, already on the iPad! Just launch.I don’t know what I did before Twitter. It keeps me informed in world affairs, is a PLN giant, and lets me share as well as learn. 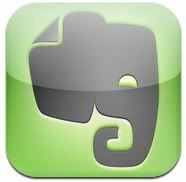 Evernote- Free I am a HUGE fan! I have notebooks created for each of my campuses. Inside the notebook are pages for each visit. Schedule and take notes for all activities every day. Add pics and PDFs! There you have it…my Top 10 List. Do you have some favorites I haven’t mentioned here? Please leave a comment with the app name and how you use it!